10 Smartwatch For Your Future. When everybody turn around to more advanced and multifunctional gadgets such as smartphones and stuff, watches too have improved in many many ways with it's special features and way more advanced technologies than you can imagine. If you thought the Samsung Galaxy Gear is the first 'real' smartwatch to hit the market, then you're in for a pleasant surprise. How many of these smart watches can you recognise? Designed for Nissan Nismo racecar drivers. Connects to the car via a smartphone app. Access vehicle telematics and performance data while driving, even biometric data via a heart-rate monitor. Monitor average speed and fuel-consumption readings for the car. Lasts 7 days per charge. No official website at time of writing. Links with your smartphone over Bluetooth. Notifies for calls, SMS, emails and apps. Custom apps via i'market, their app store. Claims to have the world's most advanced smartwatch operating system. Notification alert for calls, SMS, email, apps, out of range, low battery, alarm and more. By a press of button, you can remotely check in on Facebook, control your music, tag your current location or find your phone. No recharging needed - uses standard CR2032 battery. Wireless charging, lasts for multiple days on a single charge. Touchscreen-only, no buttons, no ports. Links to smartphone for updates and notifications. 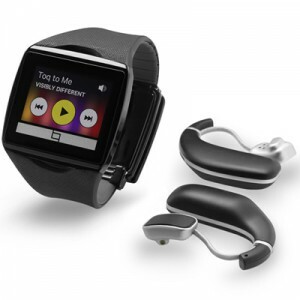 Claims to be the world's first voice-command smartwatch. Can also do voice command to smartphone apps via the watch. Answer calls and SMS via the watch. Snap a photo using your smartphone, via the smartwatch. Also incorporates a Find Your Phone feature. Has an anti-scratch glass crystal display. Track your runs via GPS mapping, monitor your heart rate off your wrist, listen to your favorite music and get real-time coaching. No official webpage at time of writing. Available in November at www.adidas.com. Read email, SMS, calendar events, social notifications and more on the watch. Connect to your music player on the smartphone via the watch. Has an app store for more custom apps. 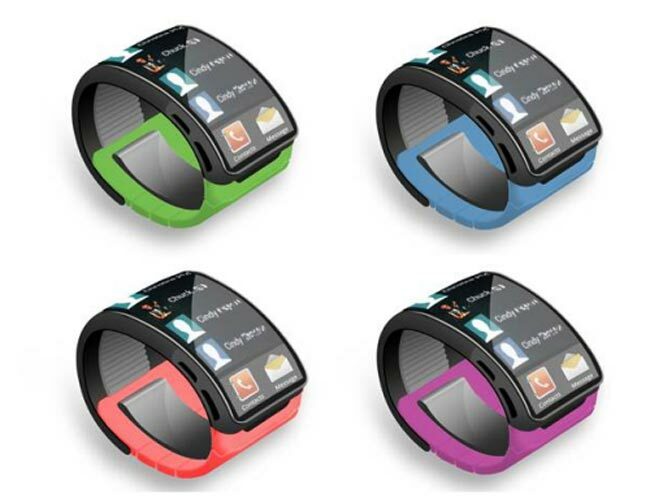 Claims to be the world’s first Android-compatible SmartWatch with one-touch NFC. Lasts 4 days between charges. Runtastic (tm) app custom-designed for runners. Various compatible apps available on Google Play. 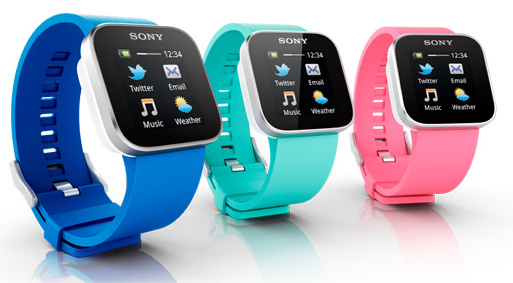 Among the first smartwatches to hit the market. Various apps available on iOS/Android app stores as well as other independant stores. 5ATM waterproof, tested for both fresh and salt water. Call, email, SMS, etc notifications from smartphone. Lasts 5-7 days per charge. ePaper display for easy daylight reading. Backlight turns on at the flick of the wrist. Make and answer calls directly from the watch. Voice commands with S Voice for calls, tasks, schedules, messages and other apps. Notifications for calls, SMS, email, apps and more. Built-in camera in the strap, seamless syncing to the phone. Easily record voice memos which are automatically transcripted into text. Other apps and features include auto phone lock, find my device, pedometer, weather, media controller and more. Currently only supports selected phones in the Samsung Galaxy line. So, to time lovers out there which one of these magnificent piece of 'time machine' would you like to have for your collection? ambil lah kak yang mana berkenan di hati hehe. nampk cam jam budak2 jer..
Haiwan Ini Yang Paling Banyak Bulu Di Dunia. Batu Karang & Cara Mengatasinya. Mana Pergi Leaderboard & Large Rectangle? Pendaftaran Sekolah & Sekolah Agama Kakak. Katak Serupa 'Alien' Lepas Makan Kelawar! Setahun Jagung Nukilan Kenit Giveaway.